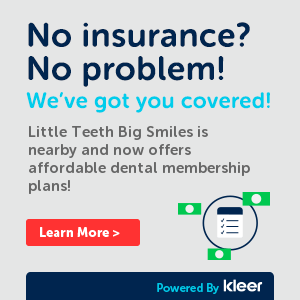 Our team provides you and your child with outstanding dental health care. Every member of our team has a passion for working with children and is committed to making your family’s visit to our office enjoyable, pleasant, and educational. 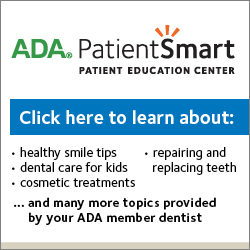 Specialists in pediatric dentistry and genuine love for children. Dental Assistant – She was born and raised south of Chicago’s Midway neighborhood where she currently resides. 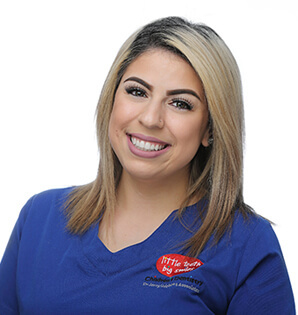 Adi previously was an oral surgery assistant but discovered pediatric dentistry was where her passion lied. 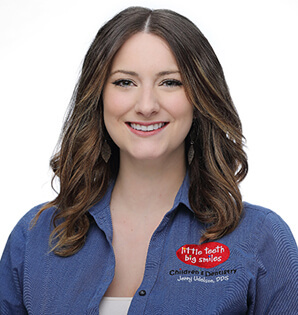 She loves working with children and finds great satisfaction in helping them maintain the best oral health possible. Adi’s goal is to provide children with a fun and exciting dental visit and have them leave Children’s Dentistry with a beautiful healthy smile. Adi spends her free time going on Chicago adventures with her daughter and, when she has time, baking cakes and sweets. Dental Assistant – She has worked in the field for nine years and has been with Children’s Dentistry since 2016. Before becoming a part of the pediatric team here, Ale worked in an orthodontic practice. 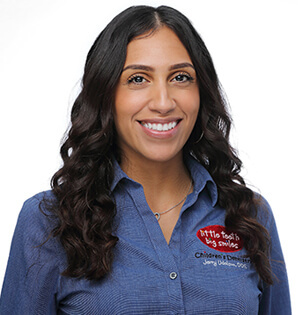 She loves to work with children and prides herself on being able to assist kids through their dental visits and helping them overcome any fears about going to the dentist. Ale has a son who is very energetic and keeps her up and running all over the place when she’s not at work. Their favorite thing to do together is to go on movie dates. In her spare time, Ale loves to dance, hang out with friends, and shop. Financial Coordinator/Front Desk Supervisor – She loves helping patients and making sure they understand the Doctors’ recommendations. 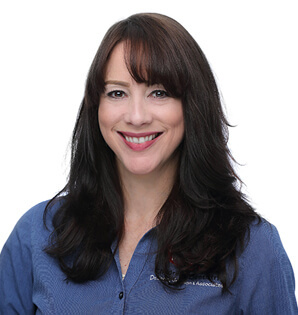 She has been in the dental field for over 14 yrs and with Children’s Dentistry since 2010. She was born and raised in Puerto Rico and currently resides in Berwyn. Brenda is a proud mom of two boys and a dog named Bo. In her spare time, Brenda loves being with her family and friends, and spending time on her hobby: collecting I Love Lucy memorabilia. Treatment Coordinator – She has been working at Children’s Dentistry since 2016. Chelsea was raised in Chicago’s western suburbs. 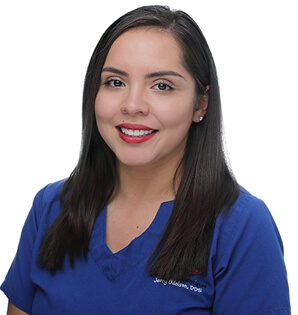 She has been working in the dental field since 2014 and is working toward a degree in dental hygiene. Chelsea always helps patients find their path to healing—from scheduling their appointments at the best possible time, to helping them handle co-pays and maximize their insurance benefits. She is very passionate about oral health and making sure every child gets the best comprehensive dental care. When Chelsea isn’t working or studying, she is practicing yoga, working on a sewing project, or spending time with her husband and two cats. Dental Assistant – She was born and raised in the Chicagoland area and attended Everest College’s Dental Assistant program. Crystal joined the Children’s Dentistry team in 2016. She likes working with children and educating them on oral hygiene and also working with the patients on helping them get comfortable coming to the dentist. In her spare time she enjoys bowling, ice skating and going to amusement parks with her family. Crystal also loves to cuddle with her son and daughter while watching Netflix. Dental Assistant – She is from the Chicago area and has been a dental assistant since 2012. Working with kids has been her calling and she considers it a privilege to work with children. 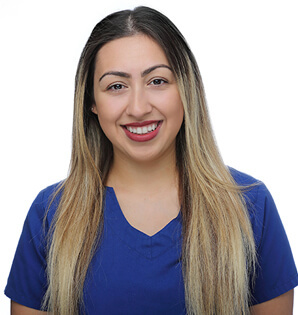 Becoming a dental assistant is one of Dania’s proudest accomplishments and she finds it rewarding in many ways: She feels strongly about educating parents on preventive care, oral health and proper hygiene and making sure dental visits are a happy experience for the whole family. She enjoys spending quality time with her family and friends when not at the office. She also likes to stay fit and enjoys going to the gym and reading in her spare time. Head Dental Assistant – She has been a part of Children’s Dentistry since 2011 and in the dental field since 2007. Starting in general dentistry, Giovana quickly discovered that her heart belongs in pediatric dentistry. 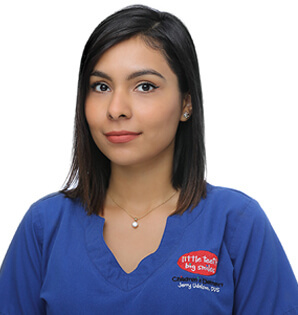 Giovana has a son who loves coming to the dentist and she uses his experiences to help relate with her patients to ease any dental anxieties they may be experiencing. She finds it especially rewarding to educate children about the importance of their oral hygiene. Giovana is also a trained black belt in Tae Kwon Do and loves to keep healthy and fit during her free time. Dental Assistant – Being the oldest of 23 grandchildren, her world revolves around kids! 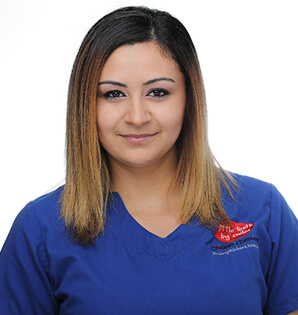 She graduated from Everest College in 2012 and has been a part of the dental field ever since. 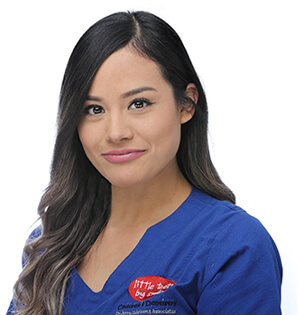 Jackie started her dental assisting career in a general practice but later on in 2014 she discovered pediatric dentistry was her calling. She is very determined on educating children and their parents on good oral hygiene skills. When not at work, Jackie enjoys playing soccer, staying fit, and spending time with her friends and family. Social Media Coordinator – Originally from Ohio, Kaitlyn made the move to Chicago in the winter of 2016. 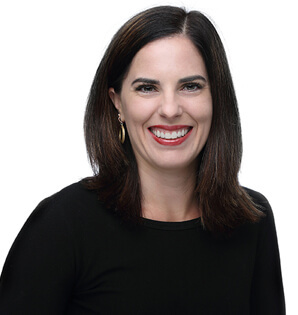 Kaitlyn has been working in the medical field off and on, with prior experience working in fertility and health and wellness marketing. Kaitlyn is passionate about patient care, and she wants every patient’s experience to exceed their expectations. 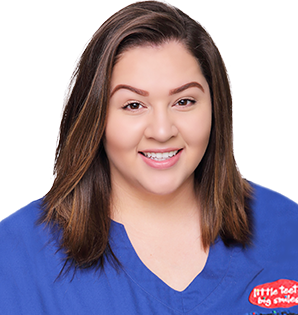 Kaitlyn believes that every patient should have a personalized, professional, and comfortable experience in an office setting. She also enjoys keeping patients and families informative and engaged with Little Teeth Big Smiles through multiple social media outlets. In her spare time, Kaitlyn enjoys photography, traveling, cooking, festivals, listening to True Crime podcasts, blogging, and spending time with her boyfriend and two cats in their neighborhood of Logan Square. Dental Assistant – She was born on Chicago’s North Side and currently resides in Cicero. 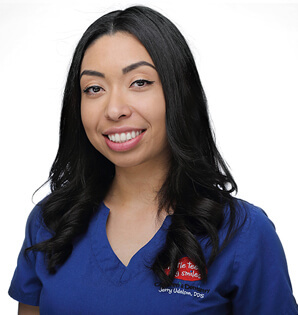 She graduated from Everest College in 2011, and has worked in the dental field ever since. Maggie joined the Children’s Dentistry team in 2014, and loves working with children and educating them on great oral hygiene. When she’s not working, Maggie enjoys spending time with her family, going to the mall, and going to movies. Treatment Coordinator – Monica has been working in healthcare for over 10 years and has lots of experience in assisting families with treatment plans and helping them understand their insurance benefits. Monica’s interest in the dental field grew when she realized that keeping our teeth healthy is as important as keeping our bodies healthy. She enjoys helping new and existing patients form a dental treatment plan to maximize a child’s oral hygiene and health. She also assists families and patients with understanding their insurance benefits and scheduling appointments. Originally from the Chicago North Side, she now resides in Berwyn where she loves spending time with her family. Monica loves Berwyn and everything it has to offer. She loves dancing to salsa and any kind of music with a good beat, and she enjoys roller skating. 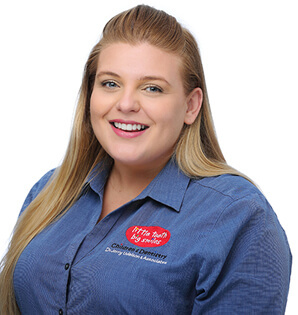 Insurance Coordinator – (Naya for short) has been with the Little Teeth Big Smiles family since 2015. Working in a pediatric office made her realize that she loves working with children. Naya’s favorite part of working in a pediatric office is interacting with the kids, reassuring them that they are brave little ones, and listening to their funny comments! She has never had a cavity and will continue to prevent having one! On her time off Naya loves traveling, sushi, and karaoke! Practice Relations Coordinator – Sara is a native Floridian who relocated to the Chicago area in Spring of 2012. 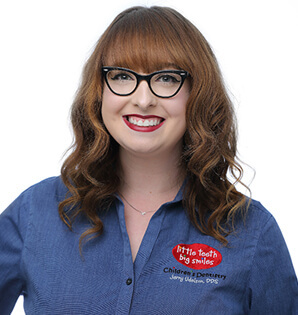 Sara has been in the dental field since 2008 and is super passionate about pediatric dentistry and easing any dental anxieties children may experience when at a dental office. While most of Sara’s experience has been hands on and clinical she is very excited to make her way into the community to spread the word about how passionate we all are about providing the best care possible for our patients. In her spare time Sara enjoys traveling, reading and enjoying everything Chicago has to offer. Dental Assistant – She has been a dental assistant since 2011 and has been in the dental field ever since. 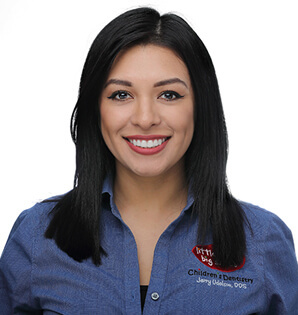 Before joining the Children’s Dentistry family, Seli gained experience by working at a general office. After obtaining seven years of experience at a general office, she decided that her true love was working with kids. She loves teaching children how to floss and brush properly as well as the importance of oral hygiene. When not at work, Seli loves spending time with her son. Thanks to her help, her son also overcame his fear of coming to the dentist! She is so proud!